FirmGreens.com - Free golf tips, resources, news, and more. You might not like hearing this but if you are new to playing golf, you are probably making one of these mistakes and your scores reflect the same. Do not fret, everyone did these mistakes at one point or another, even the most famous golf players in the world had to start from somewhere! You might even be an ancient oldie at the game but are still none the wiser. 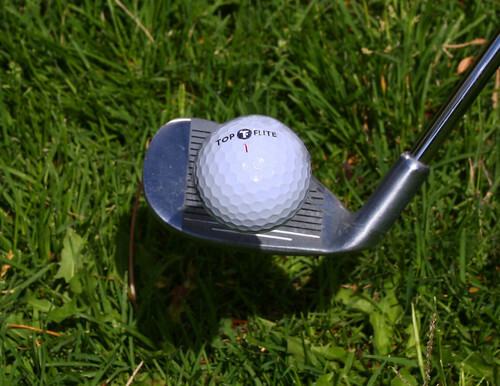 Read on to see whether you make the common golfing mistakes and what you can do to avoid them. Do you know why your scores are not as high as you want them to be? If you ask most golf players this, they will tell you that the problem is their backswing, and that it is not straight enough. Or maybe it is their swing plane which is not as consistent as it ought to be. Others will say they just know that their finish is the problem. These are all valid reasons as to why many people do not play as well as they would like to. However before you spend a fortune on books and trainers to help you improve on these areas, make sure that you have understand the basics of swinging first as these are most likely your problem. There are three key things when it comes to your swing; your grip, your club and your stance. Regarding the grip, before you move to taking more drastic measures, ensure that you are gripping your club correctly. Too tight or too loose and you lose the control you ought to have over the club. Your grip on the club should be smooth, but at the same time solid. What about your positioning of the club? Many people get themselves in the right stance and then try to position the club. This is wrong. You should first position the club with its face solidly resting on the ball, and then proceed to take the correct stance, depending on the situation. And now that stance has been mentioned, do you even know the right stance to take? There are three main stances, suitable for different situations. Make sure you know the right one for the situation you are in as you play and take it. Your posture is a key determinant of your swing. It makes perfect, logical sense. The more you turn the club in the backswing, the more powerful your swing will be and the greater the distance you will gain, right? Wrong! This is a common misconception with most new golf players and it lands them nowhere but in the hospital with back trouble. You do not need to twist your club to the furthest extent backwards so that you can make a good swing. All you really need is a good stance. Set your feet squarely straddling the imaginary line of flight, or use the open or closed stance depending on the desired outcome. If you have the right posture generally, you should have a more fluid swing which will have solid contact with the ball, granting you much more distance than twisting your back swing ever could. The key to a good swing is control. So there you are, the hole is right in front of you and your club head firmly on the ball. How do you hit it? Many people calculate the putting line in the complete opposite way of how it should be done. They create an imaginary trajectory of the motion of the ball from the hole to where they are standing. The right way to do it is to mentally visualize how the ball will move. Calculate from where you are to where the hole is. Are there any obstacles in your way? How do you avoid them? Another area people go wrong when it comes to putting is not accelerating enough while striking the ball. A good acceleration ensures the ball moves in a straight line. The ball will also not end in the hole if you do not use the right putting grip. All in all, avoid these common mistakes and your overall game should receive a positive boost! Chad plays at PGA village for years and always enjoys sharing his golf knowledge. He knows all there is to know about golfing mistakes, and hopes to help players avoid the most common ones through this article.